McDonalds Happy Meal Madden 15 NFL Figures Mystery Bags and Codes to Identify! Happy Meal and the NFL are at it again this year with Madden 15 figures. All 32 teams are represented by a 2" little mini figure. You can place your own sticker numbers on their jerseys, or just leave them blank. They are also app upload able, but I am only into the toys today. Each wave features a common position stance for the group. 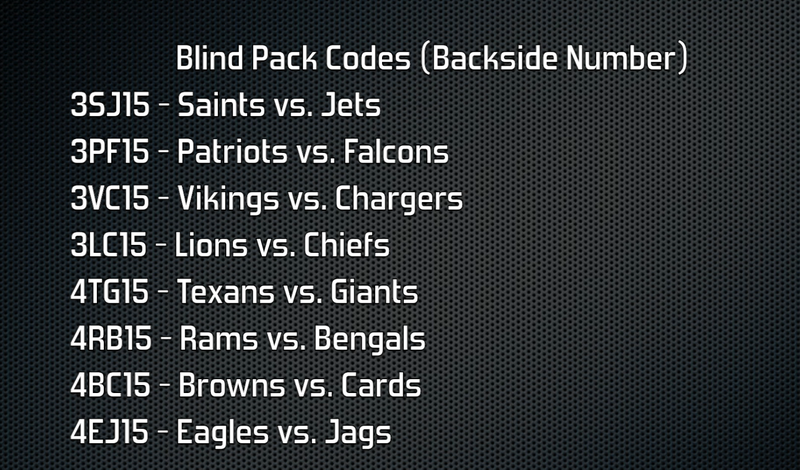 First up are the Broncos, Colts, Bears, Packers, Redskins, Raiders, and Dallas. there is no articulation, but they look pretty good considering they are free with food or a couple bucks. 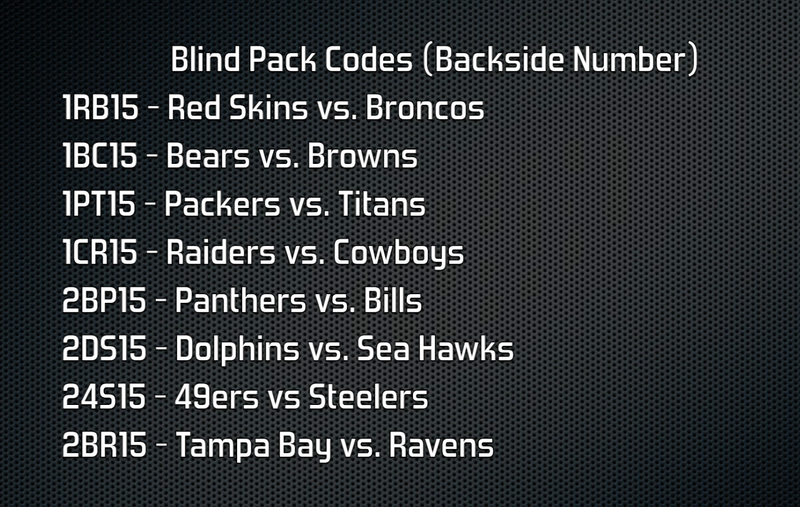 The second group are the Bucs, Dolphins, 49ers, Hawks, Ravens, Panthers, Steelers, and Bills. The Third box is the Lions, Pats, Saints, Chiefs, Vikings, Falcons, Chargers, and Jets. Look for these August 30th through September 2014! Another run of classic Power Rangers are out, this time 5" Toys R Us exclusives. They look really nice, with packaging like the originals. I am still happy with my 4" line from a few years back, so I am not sure how far I will go with these. Lord Zedd was a must, as I do not have a Zedd, and it doesn't matter if he is larger. At $20 bucks a figure though, I might just stop there (maybe a White Ranger will temp me). The Football Mech set features a motorized football mech with future zombie inside, moving forward and backward similar to the video game. This set worked much better than the cone (all pieces included) and I enjoyed it much. Go play! The Cone Mech Building set is 114 pieces of fun. Too bad mine was missing 4 pieces that help the drive rods from slipping out! I found a quick fix for now, until I can get some replacements. the Set looks cool, and walks pretty interesting. A few flaws like the Zombie not sitting inside at all. The horrible brick pieces he sits on, barely work with craptastic studs. Fun if you are a PvZ fan. I think HexBug Aquabots 1.0 set off a fish frenzy in toy fishes, and now the new models are out. The 2.0 fish feature light up glow, and tap on tank wake up ness. The new bonus bowl works a little better too as its rounded, but it could be slightly deeper though. A couple coral features also tech up the tank. Totally get one of these for your desk, they are lots of fun! This toy might be taking the blind mystery pack too far. To build a dragon, you must buy a Head, Wing, and Tail pack to complete it. So what happens when Grandma just buys you tails? 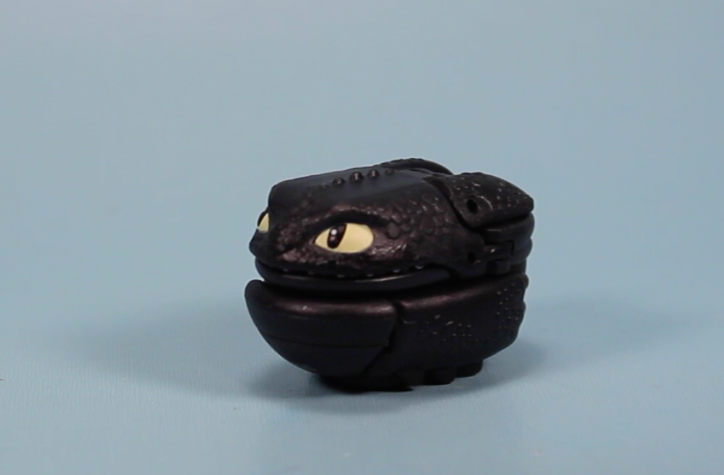 In some strange twist, I was able to get all Toothless parts, even though I was kind of hopping for some mix and match. The whole Pod thing also does not make much sense. I don't remember them Podding themselves in the movies. I might accept dragon eggs or something. Also they cheat with the Wing and Tail pods needing to have the Wings and Tail piece added to them after the Pod transformation. The final product is a long snake like Dragon with way too many joints and springs, however I do kind of like it somehow. It is so odd that it just might make it on my desk for awhile. The Pods also activate your Nabi Dream Tablet if you have one (yeah, thats got to be a huge demographic), and you can do somethings with School of Dragons App. So thats what this toy is all about, make sure you get all three color bags to build one dragon. Star Wars Command Army Men Style! Death Star Strike Set, Roll Crash Destroy! So Star Wars is back at it again with another new old kind of collection. Army Men figures! The sets contain lots of different plastic figures from all over the Star Wars Saga. Vehicles are also involved in the sets, some on plastic stands, other on roller stands that you can use to attack (watch out, they will number the display stand as a vehicle on box). The figures have good size to them about 2" tall, some are a little more fancy with one or two paint apps. I like the Storm Troopers the best in the series, and I might need to find a better opponent then the Rebel Pilots for them to shoot at (SO BRIGHTLY ORANGE). I can't see myself go too nuts on the series though, as I already have nicely full sufficient collections of figures, and Attacktix too. Halo Mega Bloks Series Alpha is out, or is that Series 10. This, surprisingly, is my first go at the Halo Mega Bloks. For some reason I keep missing them. 8 To collect, with a newer more Super Poseable micro figure. 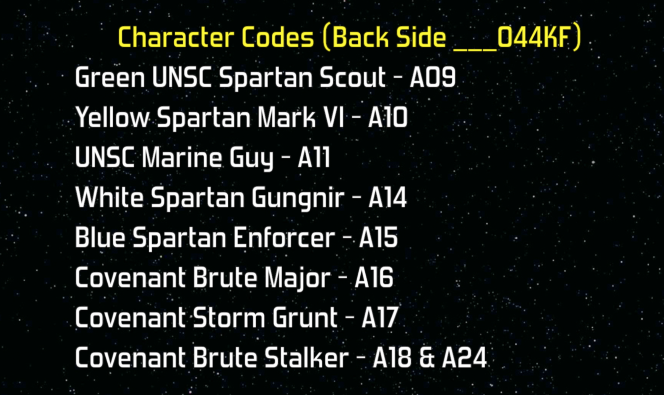 I noticed the Covenant Brute Stalker has two different Codes, so you might find some others as well. For my first dive, I like the Spartan Figures the best. I am sure I will find lots of trouble for them to get into. Its neat that the armor for each one is slightly different. That could have easily been just color changes. Lego Legends of Chima Doggie Bot or Wolf Legend Beast with Worris. I don't know why I want to keep calling this guy Doggie Bot. These five Lego Legend Beast toys were loads of fun to build. Can we get a second series, maybe a Whale in the next line? Looking for that epic Zombie background environment scenery to use? miWorld mall building sets recreate your popular shopping stores of today. Modular, customizable, and a ton of accessories come with each set. They also load up with a miWorld app on your smart device for some interesting 3D virtual play. Look for them now from JAKKS Pacific toys. McDonald's Happy Meal Hot Wheels 2014 Air Racers Complete 8 Collection Review! Hot Wheels are again back at McDonalds, this time still plastic, but also containing a small air pressure launch squeezer. They work so-so. I like to fist pound them, but instructions say use both hands pressing. Mixed results for me, but cool cars. A large assortment of 8, with good colors and styles! Most larger than a regular sized Hot Wheels, but many classic styles provided. There are stickers to dress up the cars, but last time I didn't really care for them, so for the most part I am leaving them off. They are on sale, USA McDonalds August 1st through 28th.